When Fong Sai Yuk arrived at Pure Ball Gate, where the erected lei-tai was, the place was quite deserted, as most of the warriors who dared to face Looi Hoong had been defeated by him. Fong Sai Yuk jumped up and tore the two banners to pieces. The statements made Looi Hoong angry. He moved forward and attacked Fong Sai Yuk’s temples with “Dark Wind Enters Cave”. Fong Sai Yuk lowered his body, placed his right leg between the opponent’s feet, and lifted the elbows of the opponent’s attack, using the pattern “Double Lift Palms”. The two combatants exchanged numerous encounters, rising like arrows and coming down like wind, rising without form, and coming down without traces, like wild wind sweeping the ground. Fong Sai Yuk knew that Looi Hoong’s kungfu was good. So he purposely tore the banners to make him angry. He knew that when the energy of fire rushed at the heart, the opponent’s techniques would be floating and rough. He could then use the strong points of his small agile body to attack. After a few more exchanges, Fong Sai Yuk employed “Reverse Striking of Purple Bell” to attack Looi Hoong’s lower body. Looi Hoong used his waving hand to brush away the attack. But it was a feign move. Foong Sai Yuk immediately moved forward with a phoenix-eye fist at Looi Hoong’s ribs with “Swallow Flying through Clouds”. Looi Hoong was taken aback. He swiftly jumped back. Tiger Looi became angrier. He realized that although the opponent was small in age, he was very formidable. His intention to kill arose. His eyes shone with hatred. He decided to use his ultimate technique, yin-yang kicks. Fong Sai Yuk understood Looi Hoong’s intention. He knew that when an opponent became angry, when anger attacked his heart, when fire confused his eyes, his techniques would be confused. Fong Sai Yuk remained calm and careful, knowing that Looi Hoong would use his ultimate technique. He jumped about agilely, keeping himself save from Looi Hoong’s attack, and ready for his ultimate technique. Looi Hoong made a few feign moves hoping to confuse his opponent. Then he jumped up to kick Fong Sai Yuk’s groin. Fong Sai Yuk retreated his front leg to avoid the kick. But the kick was a feign move if the opponent could defend against it. The real kick followed, while still in the air kicking Fong Sai Yuk’s groin a second time but with the other leg. Without moving his feet, Fong Sai Yuk shifted his body back to avoid the second kick, using the pattern “Tame a Tiger with a String of Beads”. As soon as the two kicks missed their targets, and Looi Hoong landed on his feet, Fong Sai Yuk drove his right punch into the opponent’s ribs in a pattern called “Precious Duck Swims through Lotus”. Tiger Looi was very surprised. His ultimate technique of the double kick had never failed him, but now a small boy could avoid it. More urgently a punch was driving into his ribs. He quickly moved back his front leg into a false leg stance and swept his hand against the coming punch in a pattern called “False Leg Hand Sweep”. But the punch to the ribs was a feign. As soon as Tiger Looi’s hand-sweep came down, Fong Sai Yuk retreated his punch, then moved forward to drive a cup fist into the Looi Hoong’s heart, using the pattern “Black Tiger Steals Heart”. Looi Hoong could not avoid this fatal attack. Like a top without thread, Looi Hoong was flung back a few feet by the punch, and landed on the lei-tai dead. Everyone present was stunned. Fong Sai Yuk calmly jumped down the stage and walked away. 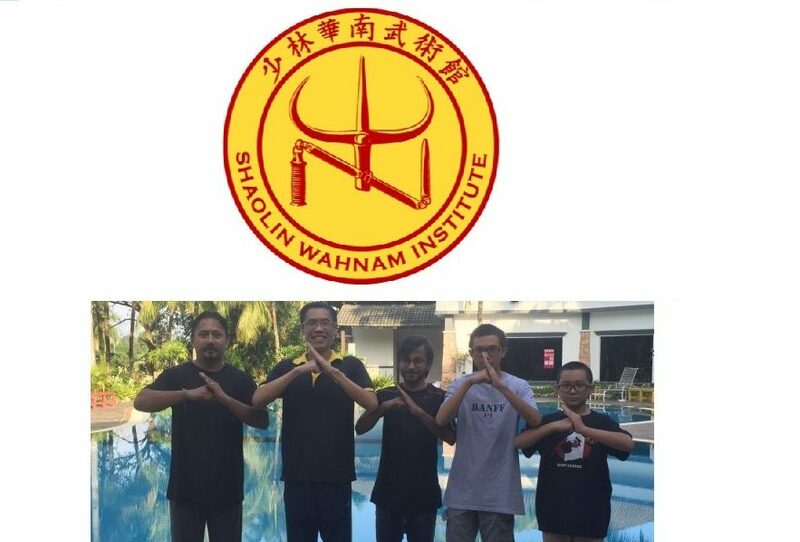 This entry was posted in Grandmaster Wong Kiew Kit, Kung Fu, kung fu culture, kung fu sparring, legends, Shaolin, Shaolin Wahnam, stories and tagged Grandmaster Wong Kiew Kit, Kung Fu, kung fu culture, kung fu sparring, legends, Shaolin, Shaolin Wahnam, Stories on March 27, 2018 by Wei Joo Lee.